The NBC peacock. Chase Bank's blue octagon. Mobil Oil's arresting red O. PBS's poetic silhouettes of "Everyman." Chermayeff & Geismar's visual identities are instantly recognizable by countless millions around the world (one identity--the official logo for the U.S. Bicentennial--even sits on Mars) and set the standard for what a successful trademark is. In Identify, celebrated designers Tom Geismar and Ivan Chermayeff, and partner, rising star Sagi Haviv (called a "logo prodigy" by The New Yorker) open up their studio for the first time in the firm's 55-year history and reveal the creative process that lead to the firm's iconic visual identities, from the oldest (Chase Bank and Mobil Oil in the 1960s) to the more recent (Armani Exchange and the Library of Congress in the 2000s). The team demonstrates how their approach to design has remained unaltered by cultural and technological change and is in fact more successful than ever in today's online and digital applications, due to the powerful simplicity that is the hallmark of the firm's work. A showcase of some of the world's most famous and enduring trademarks, an account of how they came to be, and an unprecented insider's peek into a legendary branding and graphic design firm. Identify: Basic Principles of Identity Design in the Iconic Trademarks of Chermayeff & Geismar unveils the thinking and the process behind identity design that works. Ivan Chermayeff, Tom Geismar and Sagi Haviv are all notable design industry experts. Ivan and Tom are the founding partners of Chermayeff & Geismar, and Sagi is a partner and designer at Chermayeff & Geismar. Among the three designers, they boast gold medals from the American Institute of Graphic Arts (Chermayeff), worldwide praise for a Mobil Oil identity program (Geismar) and award-winning animations, like the notorious "Logomotion" (Haviv). Together, the three form a powerhouse of design industry expertise. Sagi Haviv is a partner and designer at Chermayeff & Geismar. Among his numerous projects for the firm are the logo designs and identity systems for the Library of Congress, National Parks of New York Harbor, The John D. and Catherine C. MacArthur Foundation, Conservation International, and the fashion brand Armani Exchange. Ivan Chermayeff, Tom Geismar and Sagi Haviv are all notable design industry experts. Ivan and Tom are the founding partners of Chermayeff & Geismar, and Sagi is a partner and designer at Chermayeff & Geismar. Among the three designers, they boast gold medals from the American Institute of Graphic Arts (Chermayeff), worldwide praise for a Mobil Oil identity program (Geismar) and award-winning animations, like the notorious "Logomotion" (Haviv). Together, the three form a powerhouse of design industry expertise. 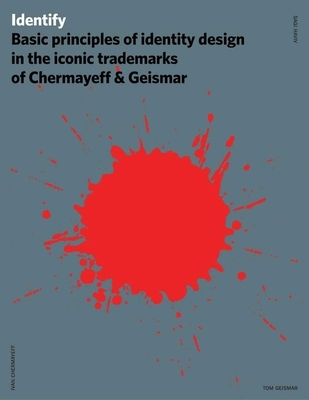 "Chermayeff & Geismar, one of America's most historic design firms, has touched so many businesses and institutions with its signature brand of graphic modernism that New York's streetscape wouldn't be as vibrant had it never formed over 50 years ago. It is impossible to walk down a midtown Manhattan sidewalk without seeing its logos, posters, shopping bags, and other commercial and cultural brand identities, like Chase Bank and Mobil Oil. Along with hundreds of other familiar graphic marks, the firm's individual and collective contributions are indelible signposts -- some are even landmarks." "The firm of Chermayeff & Geismar has created some of the most memorable logos in the history of graphic design, including the NBC Peacock, Chase Bank's Blue Octagon, and (literally) hundreds of others. This book reveals the history and process of creating many of the world's most iconic marks."